Fernando Torres & Chelsea… A failure? In three and a half years at Anfield, Fernando Torres achieved more individual glory than anyone has at Liverpool in such a short space of time. There were consistent goals scored, records were broken, and the hearts of the ‘Kop’ were won. 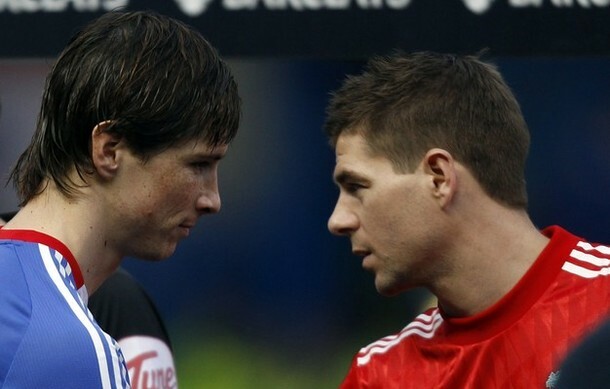 In fact, Torres’ debut season netted 24 league goals, a record for a debut season from a foreign player in the premier league. In his second season, Torres scored his 50th goal for the reds in his 84th appearance. When he left Liverpool in January this year, he finished with 81 goals from just 142 matches… An amazing record! Since then however he has played 13 matches for Chelsea and is yet to score a goal,which begs the question… Was Torres worth signing for Chelsea? There are many reasons as to why he could be struggling at Chelsea, none more so than the 4-3-3 formation Chelsea used to play with. Back then it was Nicolas Anelka and Florent Malouda playing as attacking wingers, with Didier Drogba up front and this proved to be an extremely successful formula. However now with Torres present, there is simply nowhere to put him without disrupting the overall balance of the team. Of course, it’s hard to adjust straight away, however it’s now been 3 months and nothing seems to be working for Chelsea. They’re out of the Champions League and the FA Cup, and they certainly won’t win the league this season. Naturally, Chelsea were trying to better their team, but why change a winning formula? It’s in the history of the club. Examples of this can be seen with the trading of Joe Cole, Michael Ballack, Hernan Crespo, Carlton Cole and then unsuccessfully trying to sign Stephen Gerrard. Furthermore they then wasted €75.2 million on Andriy Shevchenko who scored only 9 goals from 47 matches. In a league which pays ridiculous amounts of money for so-called ‘superstars’, it just proves that money doesn’t mean everything. Liverpool on the other hand are the winners out of all of this as the £50million they received for Torres allowed them to sign both Luis Suarez and Andy Carroll, who have so far proven to be more efficient than the current form of Torres. So in summary, another failure for Chelsea and if things don’t improve in the few remaining games Chelsea have this season, they may be pressured into cutting their losses and releasing Torres for what would be a significantly smaller amount than the £50m they paid for him. What are your thoughts? Do you agree? Should Chelsea trade Torres or should they keep him?